First, a couple of Sentence Correction practice questions. 1) Organizers claimed that the rally for public health care drew close to half a million people, but the city officials estimated the amount of people at the rally to be less than 300,000. 2) Two-time Presidential candidate William Jennings Bryan, known to oppose evolution on religious grounds, became the star witness for the prosecution in the Scopes Trials. 3) Because the People’s Republic of China claims Taiwan as part of its “One China” territory and refuses to have diplomatic relations with any nation that recognizes Taiwan as an independent nation, most western nations do not have formal diplomatic relations with Taiwan, though most unofficially consider that Taiwan is an independent state. 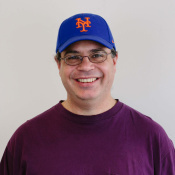 Explanations to these questions appear at the bottom of this articles. The first two are covered in this post about the “consider” idioms. Notice that the construction “consider that” is not correct on the GMAT. The last five verbs, “estimate”, “believe”, “hold”, “think”, and “know” all can take general “that”-clauses, substantive clauses, as their direct objects, in addition to other idioms. The topics, the subject believed or held or known, can be any fact at all. Some of these are discussed in this post on the idioms of beliefs. 5) When Henry Hudson sailed into the bay that now bears his name, he believed it to be the entrance to the famed Northwest Passage. 6) Though Sir Thomas More was judiciously silent on the issue, King Henry VIII knew him to be a devout Roman Catholic. By contrast, the verb “think” does not take an infinitive; instead, it has its own idiom: think of A as B. Here, “A” is a noun, and “B” can be either a noun or an adjective. 7) Opera lovers think of Renata Tebaldi as one of the most beloved sopranos of all time. 8) All modern observers think of the Dreyfus trial as blatantly unjust. The remainder of the idioms involves the past participle “known.” In the idiom known for P, P is the quality or ability or characteristic that made the subject famous. 9) Suzhou, known for its classical gardens and canals, has elicited comparisons to Venice. 10) The Moon is Blue (1953), known at the time for its sexually explicit dialogue and the controversy this provoked, would be regarded as a tame PG-13 movie by today’s standards. In the idiom known as B, B is a role occupied by the noun modified, or a quality exemplified by the noun modified. 11) Bobby Sands, known as a member of the Irish Republican Army, was elected to Parliament while he was in prison. 12) Ricin, known as highly toxic, is listed as a Schedule 1 controlled substance. The idiom known to, really just the passive form of the “know A to be B” idiom, is highly flexible: the infinitive following “known” can be virtually any verb in the language. 13) The father was surprised when his daughter, known to be vegan, raved about the food at the diner. 14) Known to sleep late, the teenager didn’t want an 8 am appointment. 15) Magnesium, known to burn white hot, was once the principle ingredient in a photographic flash. 16) Known to have been travelling in Southeast Asia at the time of the murder, the suspect nevertheless was charged as an accomplice. If you had any flashes of realization while reading, you may want to give the practice questions at the top a second look before reading the solutions below. Know the idioms given in bold in this post. As always with idioms, read, read, read! Search for the idioms in this post in context. You understand English best when you understand it in context. 1) Split #1a: Countable vs. uncountable. We can count people, so we speak of a “number” of people, not an “amount” of people. (A) & (E) make this mistake. Split 2: the correct idiom with the verb “estimate” is “estimate P to be Q“. 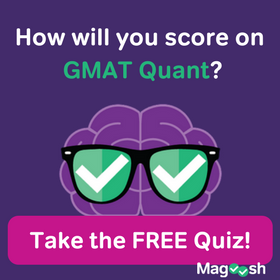 The option “estimate P at Q” is 100% incorrect and unacceptable on the GMAT. (C) makes this mistake. 2) Split #1: active language. This is not definitive, but we suspect that the verb “to oppose” will be preferred over both nouns, “opponent” and “opposition”. Choosing the verb form of a word makes a sentence more active. Split #2: in (C), “opposition with” is an incorrect idiom. The correct idiom would be “opposition to”. (C) is wrong. Split #3: (D) contains a logic error: it changes the meaning. The construction “religiously opposed evolution” comments on the quality of his devotion to his opposition, not the reasons for the opposition, which is the meaning of the prompt sentence. (C) is wrong. Split #4: Concision. Choices (A) & (B) & (E) are all grammatically correct, but whereas (B) & (E) are wordy and awkward and indirect, (A) is sleek and elegant and powerful. (A) is the best answer. 3) The correct idiom with the verb “consider” is consider A B. The constructions “consider that A is B” or “consider A as B” are both incorrect. The only answer choice with the correct idiom is (E), the best answer. In question 2, choices A and B: the placement of “on religious grounds” might seem to modify the ‘evolution’, rather than ‘opposed’ and ‘opponent’, respectively. 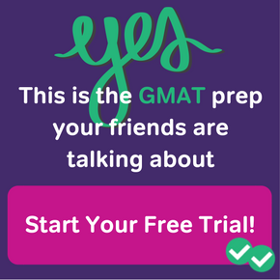 My friend, this is a funny thing about the GMAT. To answer a SC or CR question, you don’t need to have detailed personal knowledge of the subject. For example, in this question, you don’t need to know about the details of William Jennings Bryan. BUT, you need to have a general background knowledge of how the world work. You don’t need to know the technical details of evolution, but you need to know that evolution is a scientific theory about the origin of life. There is nothing religious about evolution itself, so you need to recognize that “evolution on religious grounds” is pure nonsense. Furthermore, while you don’t need to know all the details, you need to have a broad sense that some Christians have religious objections to evolution. Therefore, opposing it on religious grounds makes sense, is something that people in the real world do, but the scientific theory itself on religious grounds makes no sense. 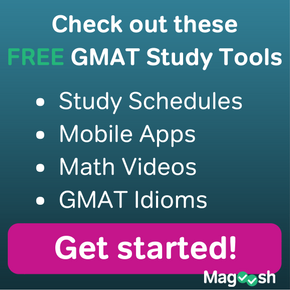 This is the kind of background knowledge of the real world you need to have for success on the GMAT and for success in your B-school application. It would be be a good idea to read the articles linked in the “Primer” at the end.